My name is Annye, and I’m a 1989 native Ohioan. I’ve been riding since forever, but have never done any serious showing or training. I’d consider myself a solidly intermediate rider; I have the bravery and skill to ride babies and catch-ride, but I don’t have the experience or instruction to truly be an “advanced” rider like many people my age seem to be. For horsie money, I work as a computer programmer. Other interests include My Little Pony, reading, video games, and general nerdiness. The star of this blog is Robigo, Robbye (like “Robbie”), or Rob. She is a 2009 chestnut (chocolate) Belgian/Standardbred accident – an “Amish Warmblood”. I bought her in July of 2012 as a just-turned 3-year-old. I hope to eventually take her low-level eventing and/or mid-level dressage-ing. 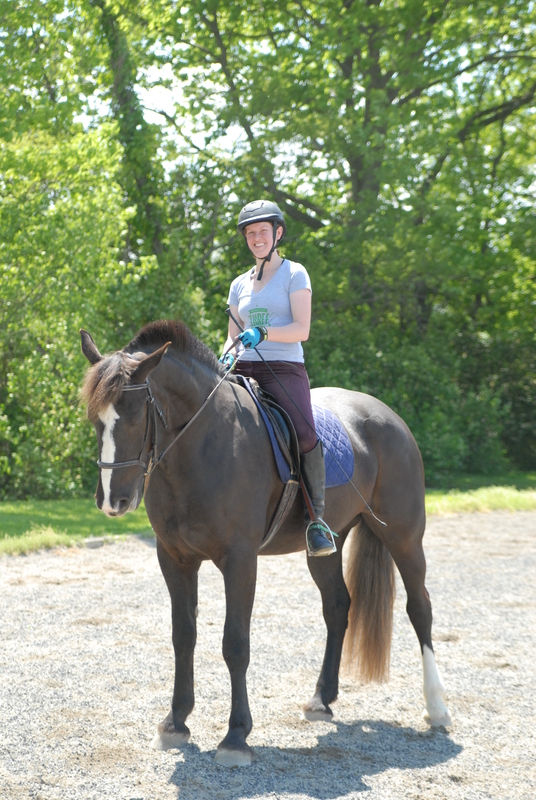 In the mean time, we’re working on 1st level dressage, low jumping, and general being-a-good-horse.